When considering a merger, honestly evaluate your company’s strengths and weaknesses first. You should pair your company with another that will thrive because of your strengths. Larry Mandelberg offers advice on leadership and dissects the issues often encountered with business referrals. Less than 1 in 10 mergers are deemed successful by the people initiating them — a staggering number when you consider the cost. The No. 1 reason cited was a failure to consider culture when integrating two businesses. A down economy creates the perfect marketing opportunity for business. Reach out to your customers in a time when your competitors are cutting back on their marketing and take advantage of media outlets who are resulting to lowering their costs due to decreased demand. A how-to on retaining staff, one of the most important and costly aspects of your business! Moving your organization from an entrepreneurial firm toward a more controllable, predictable, professional organization can be a challenge. Manage your business strategically. A successful family business is possible with clear boundaries and well defined systems and structure. Formalize and document your processes and hold family and non-family staff to the same expectations. Branching out and opening a second franchise or storefront presents exciting opportunities and requires specific considerations to be successful. Before that grand opening, take on board business consultant Larry Mandelberg’s experience and advice. The two things that set any business apart from another similar business are staff and input from advisers. A board makes your organization accountable to an external group of knowledgeable businesspeople and will drive you to make better business decisions. Today’s economy has given small business owners and managers a new reality: the loss of target clients and the need to reassess their business models to find new ones. It is either reassess and float or keep business as usual and drown. How to avoid conflict, specifically petty drama, in the workplace is explored by business consultant and Author Larry Mandelberg. In our current economy, our customers are buying differently. They are also generally responding to marketing in entirely new ways. Evaluate your business model and processes to take these fundamental changes into account. Business owners and Managers, reflect positively on the past year and look forward to what you can accomplish in 2012. Want to grow your business in the current economy? The first step is evaluating how your customers are spending differently right now. As a manager or business owner, your ability to encourage information sharing is critical to avoid bad decisions. Contributing to bad decision making is a lack of knowledge and experience. Recognize that you have limitations and embrace input. Stagnant and ailing businesses need to revamp their business models and stop waiting for the slow economic recovery ahead of us all. Keep your business relevant and marketable by taking advantage of social media! 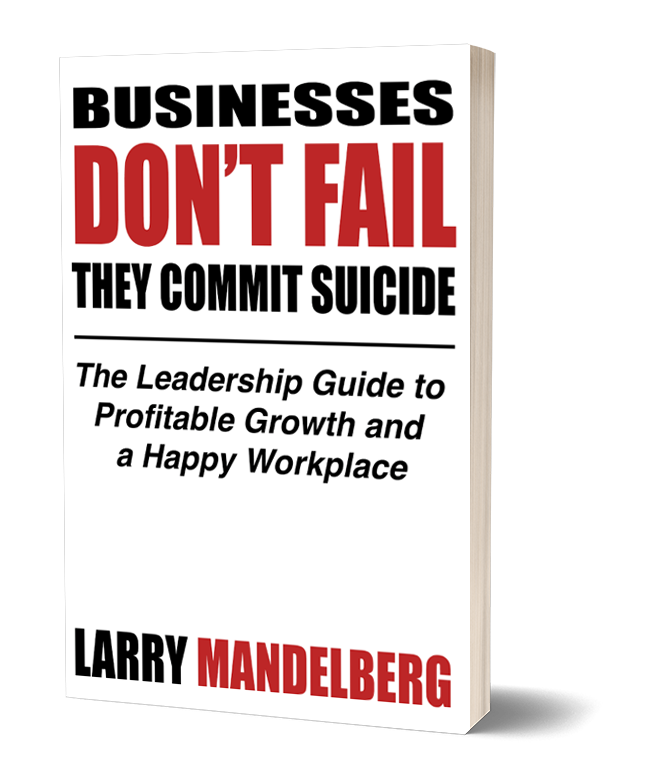 The top steps to efficiency in your business are outlined by business consultant and author Larry Mandelberg. Business strategy creates purpose, instills the sense of need, provides direction and focus, and clearly helps you know what’s important. Reviewing your business operations includes looking at your I.T. Establish what is actually working for you and stop wasting time with what is not. There are often inexpensive options that can see you profit the most from your technology.